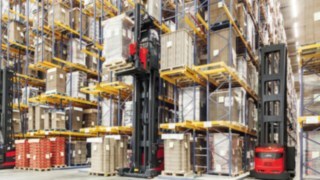 Efficient load handling in high rack warehouses comes down to millimeters. Very narrow aisle trucks carry out their work at great heights. The aisles are narrow, and the distances to the rack are calculated exactly. Because of that any little unevenness in the warehouse floor can become a problem and cause the truck to oscillate dangerously. 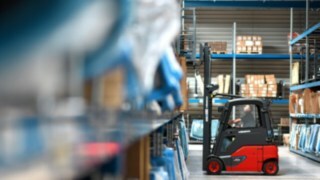 Before commissioning a new VNA truck, a service technician must ensure that all warehouse floors can be driven on without any safety risk. 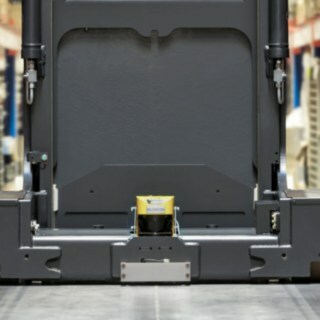 If the floors are uneven, the technician must reduce the maximum speed of the truck: This results in reduced handling performance and economic losses. 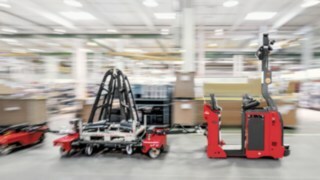 Many warehouse operators had to grapple with this problem in the past, but now Linde Material Handling provides an innovative solution with its Active Stability Control (ASC) assistance system for the K truck . 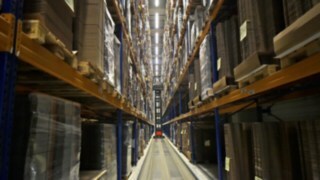 The very narrow aisle K truck enables top handling performance when handling goods in high rack warehouses. 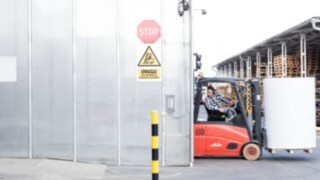 The combination truck is used in very narrow aisles of up to 1400 mm and achieves a maximum lifting height of 18 meters. 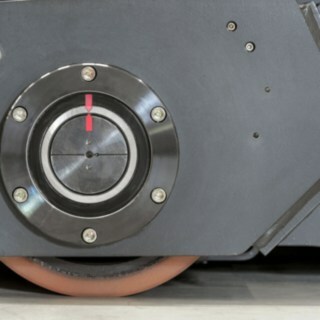 The truck lifts very quickly (up to 0.6 m/s) and can accelerate at the same time. 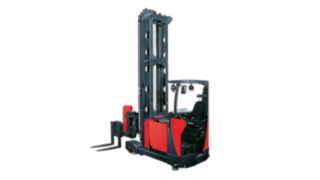 It can be driven at very high speeds even at large lifting heights, and up to a maximum of 14 km/m under mechanical control. 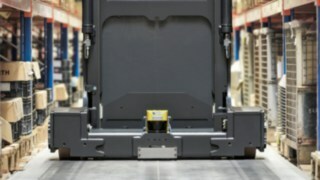 Floors for very narrow aisle trucks must meet specific conditions to guarantee optimal handling performance and maximum safety. 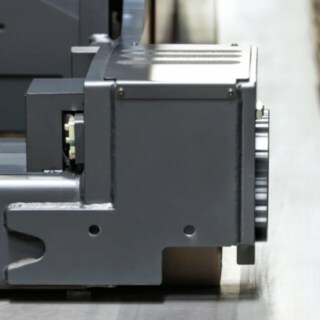 For maximum performance, floors must meet the requirements of VDMA standard “Floors for use with VNA trucks” and adhere to their required tolerances. 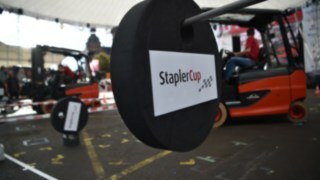 If the floor conditions in the warehouse do not meet these requirements, trucks cannot work at maximum performance and handling performance drops. Because Active Stability Control compensates for the unevenness, the K truck can take advantage of its maximum speed even on floors that do not meet the optimal requirements. Active Stability Control is based on a sensor-controlled, electromechanical system. 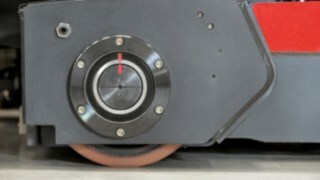 Rollers scan the floor in front of the truck’s load wheels for unevenness. 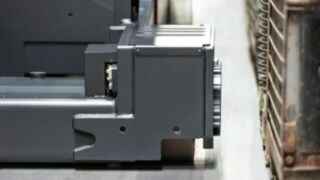 If the system detects unevenness between the left and right sides of the aisle, the load wheels adjust to it very quickly and compensate for the floor's unevenness. This ensures the truck's stability while it is being driven and significantly reduces mast rocking. 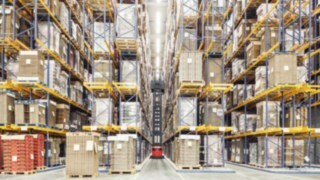 Active Stability Control is a cost-effective alternative in warehouses where existing floors do not meet the requirements needed for the K truck to perform at full capacity. 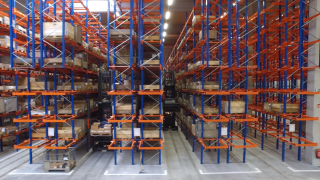 If the company wants to increase the handling performance of its very small aisle trucks, it has two options: It can either renovate its floors, which is generally extremely costly. Or it can invest in K trucks with Active Stability Control in order to achieve the same performance increase on unmodified floors. 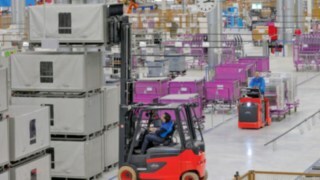 Active Stability Control also proves its worth in newly built warehouses. Time and again, it turns out that the quality of the new warehouse floor does not meet the actual requirements. If the unevenness of the floor is above the VDMA tolerance figure, drivers need to adjust their travel speeds or customers have to make expensive corrections to their floors. Active Stability Control is particularly beneficial for companies that do not have their own floorspace and have rented a warehouse. 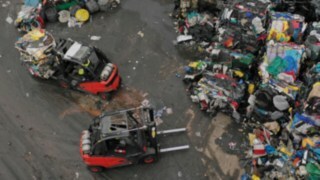 In this case, they do not have the option to renovate the warehouse floor. Instead, if they use Active Stability Control, they can still ensure top performance from their VNA trucks. Active Stability Control also has many benefits for K truck drivers: Increased driver comfort and an improved feel of safety. All vibration that the truck is exposed to on uneven floors is directly transmitted to the driver's cab. 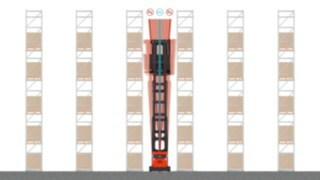 When working at heights of up to 18 meters, although the safety distances to the rack are sufficient, the driver still feels every wobble. The new system levels out unevenness between the left and right sides of the aisle and enables calm and uninterrupted working. 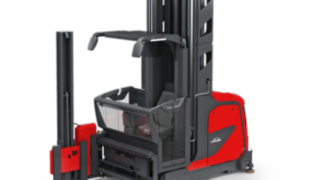 It minimizes swaying of the mast and the driver’s cab, and ensures that the driver feels stable and secure, even high up. 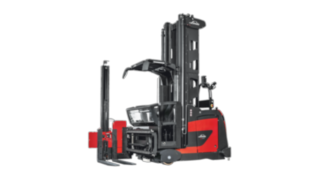 The K truck can be delivered from the factory fitted with Active Stability Control. Alternatively, it is also configured in such a way that Active Stability Control can be retrofitted if required. 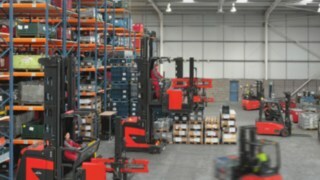 This is of particular interest to warehouse owners who do not know how good the quality of their future floor will be. In this case, they can simply ask for the K to be prepared for ASC at the time of ordering. If the floor quality actually proves to be sub-optimal, the system can easily be retrofitted in order to prevent a loss of performance by the truck.